Wedding Wednesday is here again and today I am sharing Britney and Jeremiah's wedding with you guys! This was my first wedding of September last year and it is definitely a favorite. I love how Britney's style really came together. Less is more really is so true! 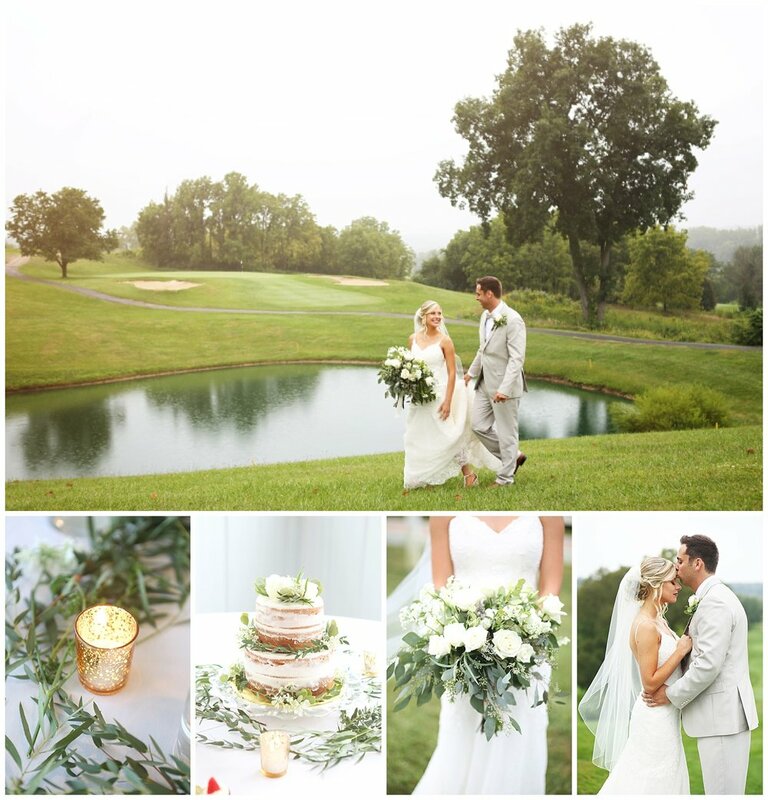 This gorgeous bride chose to keep it simple with greenery and white and every detail was absolutely beautiful. When I pulled up to Sugar Valley Golf Club, it had rained nearly my entire drive to Bellbrook. Oh, it was so beautiful though! Rainy days make for some really amazing portraits, so don't worry a bit if it rains on your big day! When I walked in to see the bride and groom, they were both so excited for this day to be here. They chose to exchange letters before the ceremony and Jeremiah's reaction when he saw Britney coming down the path to meet him for their ceremony was priceless! Britney you made such a beautiful bride! These guys were up for anything for their portraits and the sweet folks at Sugar Valley allowed us to run around the golf course in the rain!